This morning brings the often-important jobs report. 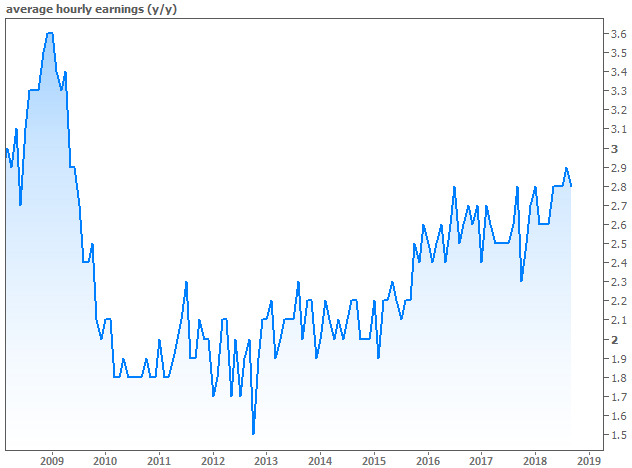 Traditionally, the key component has been nonfarm payrolls (NFP), which is just a tally of new jobs created during the past month. NFP is especially important in times of transition (i.e. heading into or out of a recession) as well as in times where markets are expecting labor markets to cool a bit after a strong run. In many ways, recent NFP data has filled that role recently. It's offered positive surprises with respect to how well the labor market is doing even though analysts wouldn't be surprised to see jobs data come off the boil. 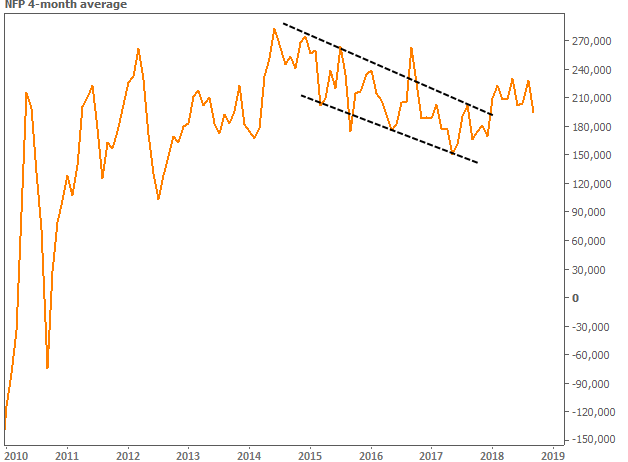 Simply put, it looked like average NFP was clearly declining from 2014 though 2017, but it's recently moved up and out of that downtrend. That's had noticeable ill effects on bonds. In addition to the headline NFP number, there are internal components that are worth our attention. The unemployment rate is generally NOT one of those components, although it can act as a tie-breaker if everything else in the report is equivocal. Far more worthy--and perhaps the most important number on some months--is the average hourly earnings data or AHE. AHE is presented both in month-over-month and year-over-year terms. The latter is of extra interest to markets as it can be compared against year-over-year inflation metrics. Given that it's recently held in the 2.8% range, the implication is upward pressure on the 2.0-2.3% core inflation readings we've been seeing. If AHE continues to come in at 2.8% or above, it's going to be hard for bonds to rally.